Mr. Schneider was co-founder of A&E Plastik Pak Co., Inc., the first plastic container company in the City of Los Angeles, California in 1956. A&E developed a system of manufacturing products using oriented polystyrene sheets, and subsequently became a major factor in the disposable packaging industry. 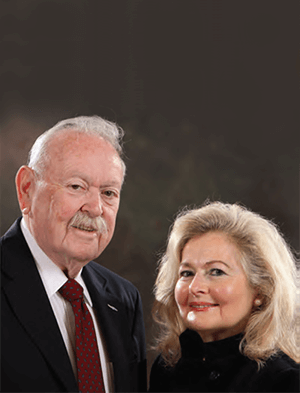 Since 1981, Mr. Schneider has been involved in the acquisition and operation of more than 60 companies worldwide. Mr. Schneider has been acquiring distressed companies and improving their operation until they were ready for sale on a profitable basis. Most of his acquisitions were highly leveraged. 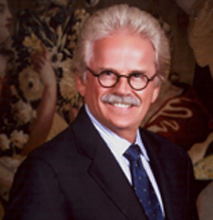 Mr. Schneider has over 55 years of involvement in the plastics industry as well as other industries with expertise in manufacturing, management, financial and legal oversight of transactions, lender and public shareholder relations, and crisis management of distressed companies. Mr. Schneider has Bachelor Degrees in Mechanical and Civil Engineering as well as a Master’s Degree in Mechanical Engineering. He is a graduate of the Polytechnic Institute of Brooklyn. Yehochai Schneider has served as the President of the Israel Air Force Center Foundation since its inception. He has been the driving force behind the growth and development of the IAF Center and the Foundation, generously supporting the expansion of its programs and activities. Mr. Schneider has spent a lifetime in a myriad of philanthropic pursuits including support of various Israel based causes including educational, cultural, and social services projects. 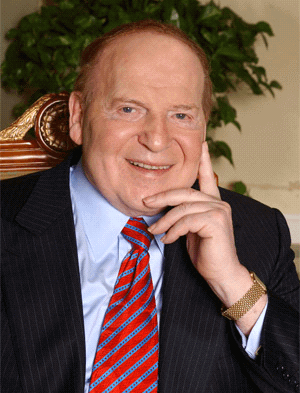 Sheldon G. Adelson is Chairman of the Board and Chief Executive Officer of Las Vegas Sands Corp. A dynamic entrepreneur, business visionary and venture capitalist, Mr. Adelson’s business career spans more than six decades and has included creating and developing more than 50 different companies worldwide. Mr. Adelson’s penchant for challenging the status quo has been the foundation of his success and has led governments in places like Macao and Singapore to select Las Vegas Sands to create economy-changing tourism developments in their countries. On August 28, 2007, The Venetian Macao opened to massive crowds and, similar to what Mr. Adelson helped accomplish in Las Vegas, Macao began its transformation into an international leisure and business destination. Under Mr. Adelson’s leadership, the company recently opened the Marina Bay Sands in Singapore. This iconic integrated resort facility features the type of business and leisure facilities that have become the hallmarks of Las Vegas Sands-developed properties and will be the bar by which all future integrated resort facilities are judged. Mr. Adelson has been granted honorary degrees and other awards, and lectured at various colleges and universities including the University of New Haven, Harvard Business School, Columbia Business School, Tel Aviv University and Babson College. Mr. Adelson and his wife, Dr. Miriam Adelson, have three grown daughters, two young sons, and four grandchildren. Dr. Miriam Adelson is a leading physician and expert in drug rehabilitation. She sponsors and manages two major drug abuse treatment and research facilities. Albert Bootesaz was born in Iran in August 1956. In April of 1974, after graduating from high school, he moved to Manchester, England to attend Old Trafford College. In 1976, he was admitted into Manchester Polytechnic. 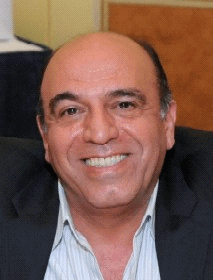 In 1977 he was elected as member of the student union board, he was instrumental in negotiations with the union to get financial assistance for Iranian students suffering hardship during the Iranian revolution. In 1979, he graduated with a Bachelor of Science (B.Sc) degree in polymers and plastics science. He worked in several chemical and plastic companies in Manchester. In February of 1986, Albert immigrated to the U.S. with his family. In August of 1993, he married his wife Mojgan. They have a daughter, Ashley, and a son, Brandon. He is currently the CEO of LeatheruUp.com, an internet based retail company. Mr. Richard Kandel is the senior partner in Kandel & Company which is a business, tax and management consulting firm in New York. Richard KandelMr. 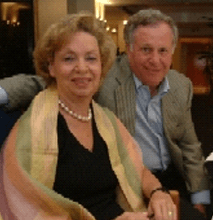 Kandel is the Director and Treasurer of the Theodore & Renee Weiler Foundation which offers grants to various organizations as well as the publisher of the Manhattan Bride Magazine. Richard Kandel is the Director of the Federal Drug Agents Foundation which is dedicated in helping law enforcement agencies and officers in their special projects and needs. Mr. Kandel is the producer of all access entertainment behind the scenes of cable shows of upscale events around the world. He has a degree in finance. Robert N. Newman is a Senior Portfolio Manager and Financial Advisor. He uses a variety of investment strategies seeking to generate growth and income. Robert received his Bachelor of Science from the University of California, Berkley in 1976. He entered the financial industry in 2000 . Dr. Farid Pakravan is a Senior Partner of West Coast Dental Services, a Dental Management company that owns and operates 23 multi-specialty dental offices in Southern and Central California. Dr. Pakravan is an active member of the Young Presidents Organization; an organization of young executives dedicated to developing better leaders through education and idea exchange. He is also an active member of the leadership group of the Republican Jewish Coalition. 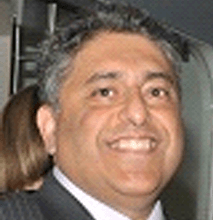 Dr. Pakravan serves on the board of directors of Milken Community High School. Dr. Pakravan attended UCLA for undergraduate studies and received his Doctor of Dental Surgery Degree from the University of Pacific in San Francisco. 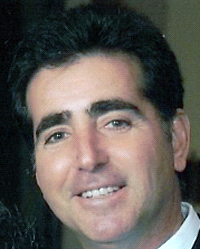 Mark Ramer has been in the real estate business in New York City since 1986. 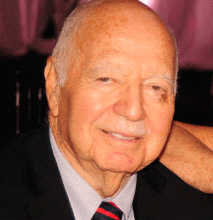 Before entering the real estate industry, Mr. Ramer practiced dentistry in Rego Park, Queens. He was the president of the Solomon Schechter Jewish Day School for 10 years as well as the Executive Vice president of the Jewish Center of Atlantic Beach. Mr. Ramer also served on the Board of Jewish Education – New York, Hadassah, JEP Summer Camps and Mesivta Tifereth Jerusalem, a yeshiva on the Lower East Side. Mr. Ramer was born in Poland and lived in Venice, Italy and Haifa, Israel before immigrating to the U.S. in 1966. He graduated from Queens College in 1972 and NYU Dental School in 1976. He resides in Woodmere, NY with his wife Naomi, an Oral Pathologist, and their children Yael, Ilana and Adi. 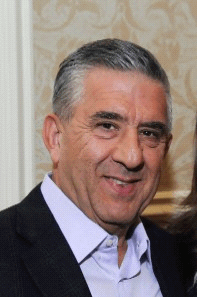 Moussa Shaaya moved to the U.S. in the 1970’s where he has become a leading entrepreneur. He has been an avid supporter of the IAF Center Foundation for several years as well as being an active board member of the foundation. Moussa and his wife Sholeh live together in Los Angeles, California. Andrew W. Tarica graduated from Northeastern University in 1982. 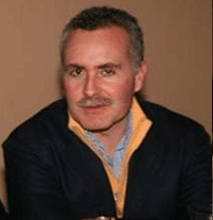 He began his career at Drexel Burnham Inc. in 1983 as a bond trader, eventually managing the firm’s bond trading department for a period of five years prior to his departure in 1990. 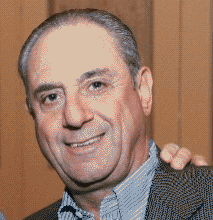 From 1990 to 1992 Mr. Tarica ran Kidder Peabody’s high grade bond sales, trading and research business. In 1992, he became the Global head of the High Grade Corporate Bond Department at Donaldson, Lufkin & Jenrette. Mr. Tarica left the company in 1999. In 2000, Mr. Tarica founded Meadowbrook Capital Management, a hedge fund and asset management firm. Mr. Tarica is currently the CEO of MCM as well as an active employee at Concept Capital Markets, LLC, running the firm’s fixed income proprietary trading. He is a member of the Board of Directors at Metropolitan West Asset Management since 2002 and acting Chairman since 2009. Mr. Tarica is a board member of TCW Mutual Funds since 2011. In 2005 he established the Edwards/Tarica Business Fellowship at Northeastern University and in 2010 created the Tarica Finance Endowment. Mr. Tarica is an active board member of the IFF, a non-profit foundation committed to funding and supporting pediatric brain tumor research. He is a lifetime supporter of the UJA Federation of New York, Welch Allyn healthcare, the Israeli Tennis Center, Magen David and several other Jewish and Israeli Charitable Organizations. In 2009, after attending the IAF graduation ceremony, Mr. Tarica became involved with the IAFC and has hosted multiple events in support of the Golden Hour study and the Asymmetric Warfare study. Andrew Tarica and his wife of 26 years, Beth, have three children, Zachary age 24, Jaclyn age 21, and Jeremy age 16. 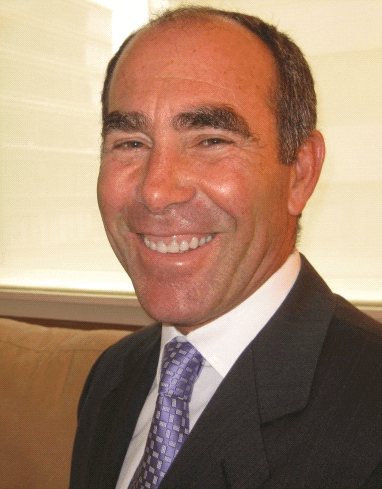 David S. Tarica, D.M.D is the President and CEO of NYCDentist.com, practicing general dentistry in New York City. 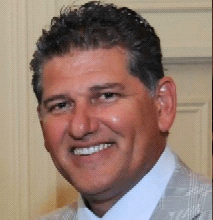 He has served on the President’s Council of Union College, the Board of Overseers at the University of Pennsylvania School of Dental Medicine, and the Board of American Friends of Welch Allyn Healthcare and Solomon Schechter High School of Nassau County. 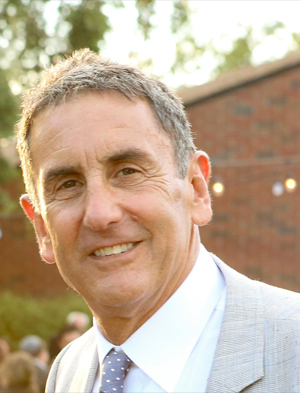 Mr. Tarica graduated from Ithaca College in 1978, did post-baccalaureate work at Columbia University, and graduated from the University of Pennsylvania School of Dental Medicine in 1983. David Tarica lives in Jericho, NY with his wife Michele and their daughters Rachel and Erica.